It's important to get your daily amount of whole grains. 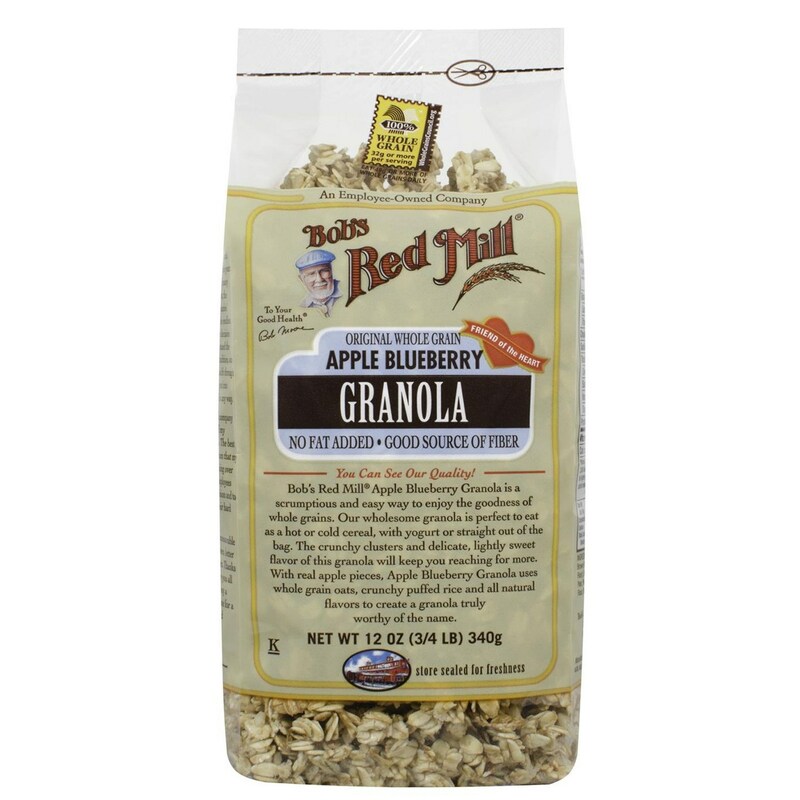 Start the transition to better health with Apple Blueberry Granola from Bob's Red Mill. Apple Blueberry Granola from Bob's Red Mill contains the fiber, protein and vitamins to start your day off right and sustain energy throughout the day. 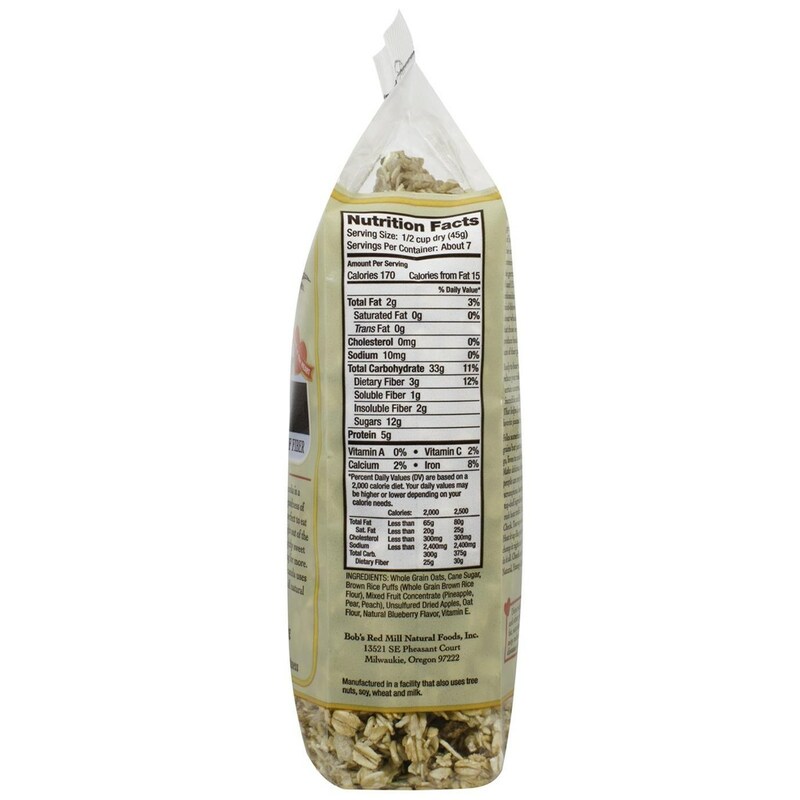 Whether you add it to yogurt, eat it on its own, or pour milk and make it as cereal, Apple Blueberry Granola from Bob's Red Mill is sure to get whole grains in a completely satisfying way. Buy it from today and save! Warnings: Manufactured in a facility that also uses tree nuts, soy, wheat and milk. Notes: Store sealed for freshness. Recommended Use: Mix with yogurt or milk or eat straight out of the bag as a snack.